Summer 2015 has been long and busy in my house. 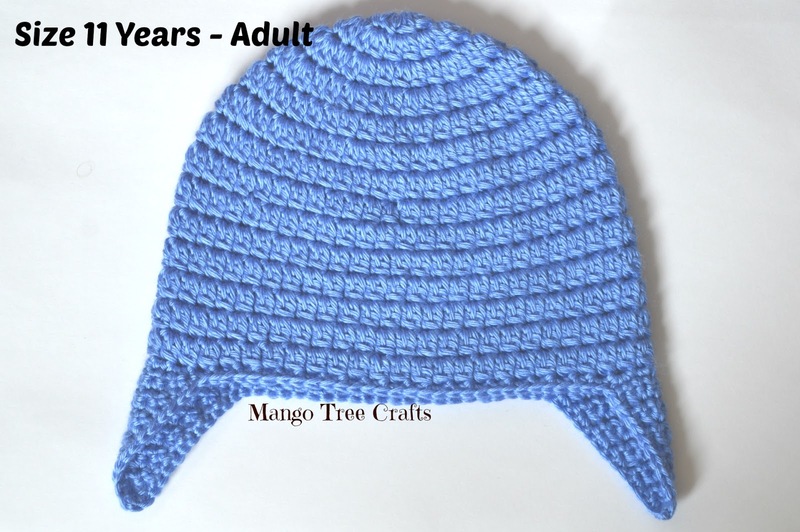 I welcome fall with a new design – this Basic Crochet Ear Flap Hat Pattern in 7 sizes which is a warmer version of my Basic Crochet Beanie Pattern. The latter pattern got a lot of support in the crochet social media community, and I want to thank all of you who used it, tagged me on Instagram and commented on my blog about it. Yarn used: Caron Simply Soft Acrylic yarn. Any worsted weight yarn would work. 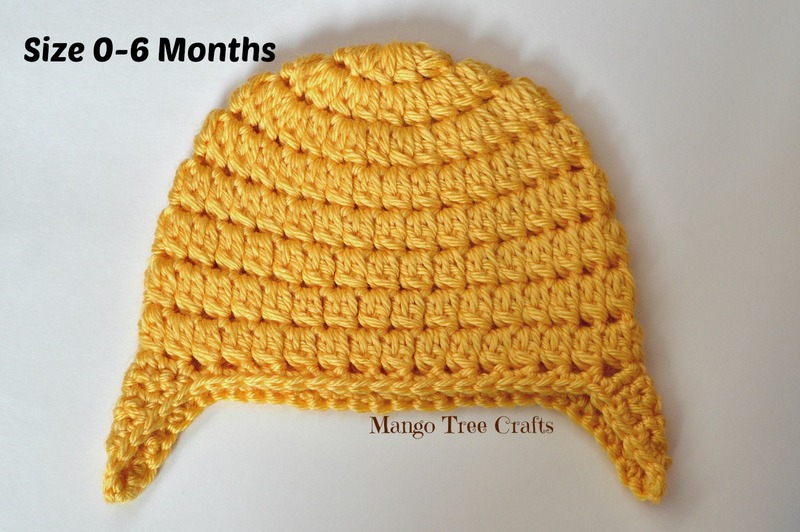 Before I start with the actual pattern, I would like to mention one great advise from Sarah at Repeat Crafter Me about how to join rounds when crocheting a hat: Always start your rounds in the same stitch as your chain. Always join your rounds to the first CL ST, NOT the chain. Your last stitch should be in the stitch before your chain. 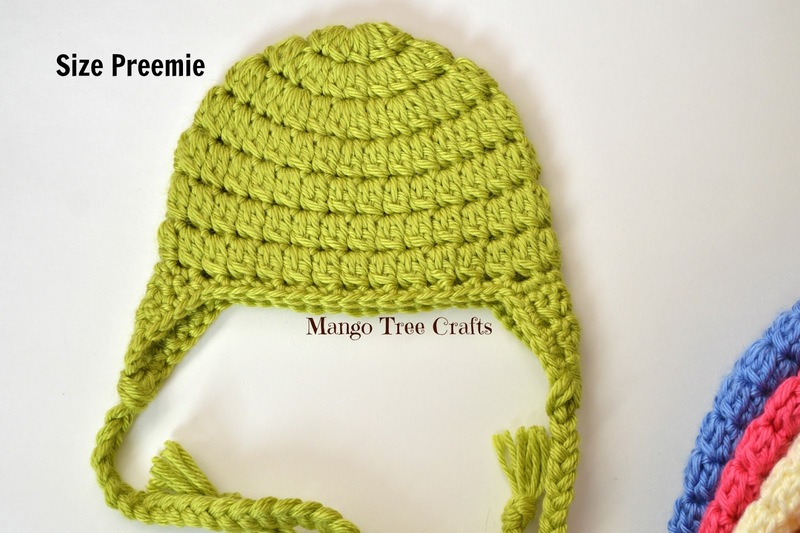 If you follow this advice the seam of the finished hat will be invisible on the right side of the hat. Round 4-7: CH 3, Cl ST in each ST around. Join with Sl ST at top of CH 3. (30). Do not fasten off, continue the the first ear flap. R. 7: CH1. SC2TOG. (1). Fasten off and weave in ends. R. 7: CH1. SC2TOG. 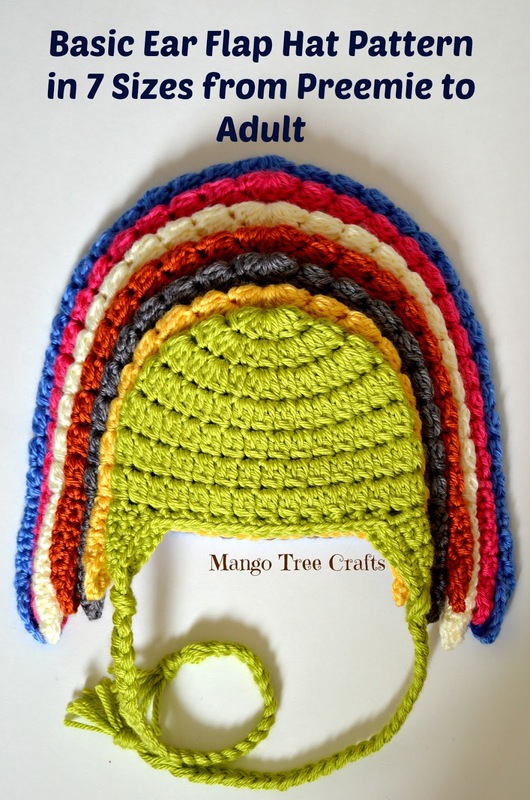 (1) Do NOT fasten off, SC around the bottom of the hat including ear flaps. 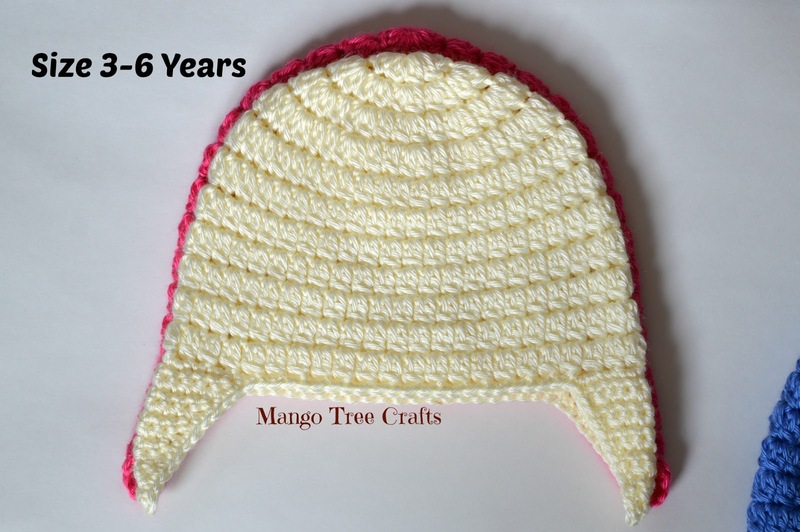 You want to work *2SC in next ST, 1SC in next ST* when crocheting around front and back trim of the hat. Fasten off and weave in ends. For instructions on how to attach braids see bottom of this post. Round 4-8 : CH 3, Cl ST in each ST around. Join with Sl ST at top of CH 3. (33). Do not fasten off, continue the the ear flap. R. 1: CH1(Does NOT count as ST). Round 6 – 9 : Repeat round 5 (36) Do not fasten off, continue the the first ear flap. R. 9: CH1. SC2TOG. (1). Do NOT fasten off, SC around the bottom of the hat including ear flaps. 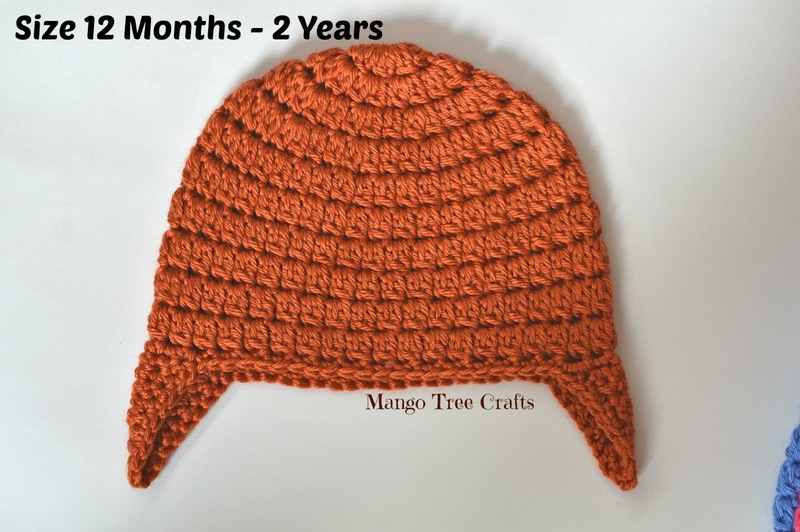 You want to work *2SC in next ST, 1SC in next ST* when crocheting around front and back trim of the hat. Fasten off and weave in ends. Round 6 – 10: Repeat round 5 (40) Do not fasten off, continue the the ear flap. R. 9: CH1. SC2TOG. (1). Fasten off and weave in ends. Round 6 – 11: Repeat round 5 (44) Do not fasten off, continue the the first ear flap. R. 12: CH1. SC2TOG. (1) Do NOT fasten off, SC around the bottom of the hat including ear flaps. 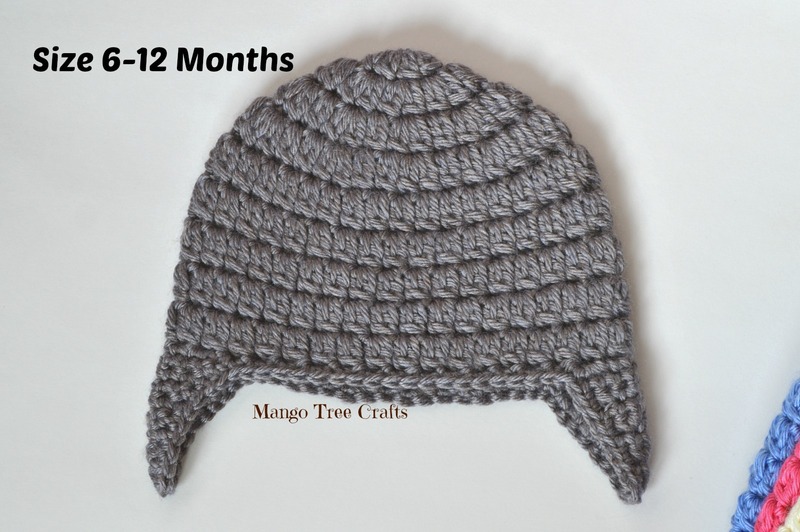 You want to work *2SC in next ST, 1SC in next ST* when crocheting around front and back trim of the hat. Fasten off and weave in ends. Round 8 – 12: Repeat round 7 (47) Do NOT fasten off, continue the the first ear flap. Round 7-14: CH 3. Cl ST around. Join with Sl ST. (50) Do NOT fasten off, continue the the first ear flap. 12, but less then 24 pieces, you want to make sure the number of pieces can be divided by 3. In the example below I cut 12 pieces total (6 for each braid). 2. Fold yarn pieces in half. Insert a large hook in the ear flap and pull up a big loop. See picture for visual help. 3. Take the tails and make a knot. 4. Split into equal pieces and braid. (I had 12 pieces to braid). 5. Make a knot at the end of the braid. Done! 6. Repeat 2-5 for the second braid. Thank you for this pattern. Made one for my Great-Granddaughter with the faux fur pom pom. Very easy pattern to follow. made it up in a few hours. thanks again.